If you are using WhatsApp a lot, you must ensure that your messages stay safe from hackers and shady people who may want to snoop your chats with your friends and family. We will look into five security settings you must implement on your WhatsApp app account. 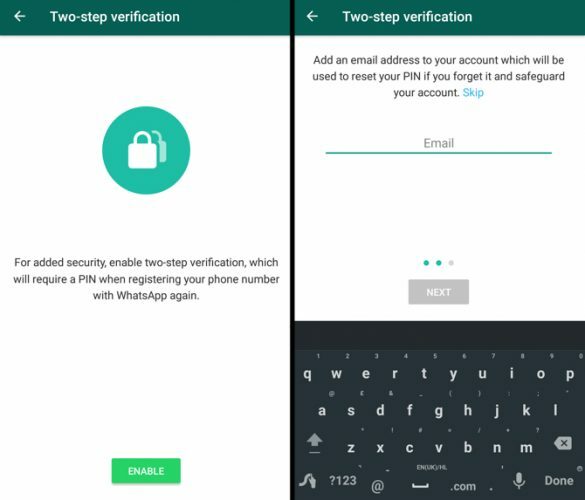 The two-step verification which is available in your WhatsApp app adds an extra layer of security. Don't forget to active this, ever! Go to Settings > Account > Two-step Verification > Activate. Simple right! It's so simple but very secure. 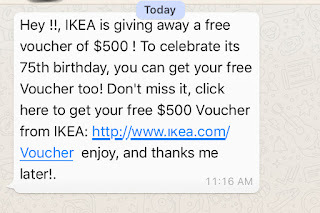 After activating the two-step security, you will be prompted to enter a key at random intervals and unless you do you will not be able to read your messages. This additional security is useful especially if your mobile phone is stolen. The thief will not be able to snoop into your WhatsApp at all. You must set a tough phone lock code. If you do that and even if your phone is lost or stolen, the device cannot be unlocked. So, there is not a chance the thief will be able to access your WhatsApp messages or access other apps. The best way to secure your phone is to use every security features that comes with the device settings. Don't be lazy like many people who use 12345 as their lock code! Security features are meant to keep your info, messages and photos from prying eyes. Use them. Many WhatsApp users are not aware that the app creates a backup copy of their messages and photos in Google Drive or directly in iCloud. This is done in order to make your old messages available for to you at a later stage when you reinstall the app on a new phone or device. While messages on WhatsApp are encrypted, the files that are saved on the cloud are not. This means that hackers can gain access to your messages and read all of it. Here's how you can disable cloud backup. Go to Settings > Chats > Backup. Once you are there, select how regularly your messages will be saved. Select 'Never' to deactivate it. The downside of this security system is that once it is activated, you will not be able to retrieve your conversations! There are many misleading messages with false promises doing the rounds among WhatsApp users. For example: you may get offers for WhatsApp Pro or 12 months Netflix free subscription. 'Too good to be true offers' messages created by cyber-criminals in order to steal your private information. Once they have your data, they sale it to third parties who may use it for various scams. 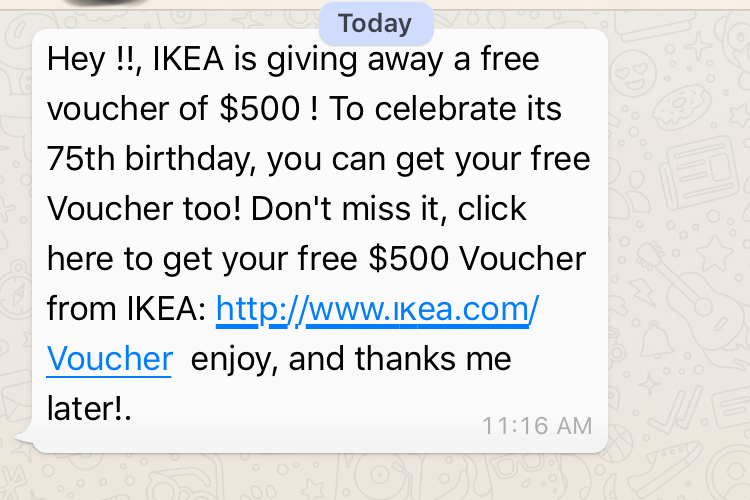 Simple rule - NEVER TRUST any promotional messages from unknown sources, even if they are sent to you by your friends. When in doubts, just messages us or comments below or even Google it if there are any such offers. There are dozens of unofficial tools offering more features than the official WhatsApp Web app. Most of these are free for all. Remember, nothing is really free. There is always an exchange of something behind the scene (read the terms/privacy of such unofficial tools). Note that external versions may be great, but they cannot guarantee the security offered by WhatsApp Web. So, would you still prefer to use some extra features or chat with families and friends with confidence? If you have WhatsApp security trick that could be useful for others please leave it in the comment box below!